JMT planned and designed a vital link in Montgomery County’s bike network, allowing the use of walking and bicycling as a viable means of transportation. Needwood Road Bike Path is a shared-use path needed to link existing Montgomery County bicycle/pedestrian facilities — the Rock Creek Regional Trail and Intercounty Connector (ICC) Trail — and expand the County’s bicycle network, while providing direct access for bicyclists and pedestrians to the Washington Metropolitan Area Transit Authority’s Shady Grove Metro Station. 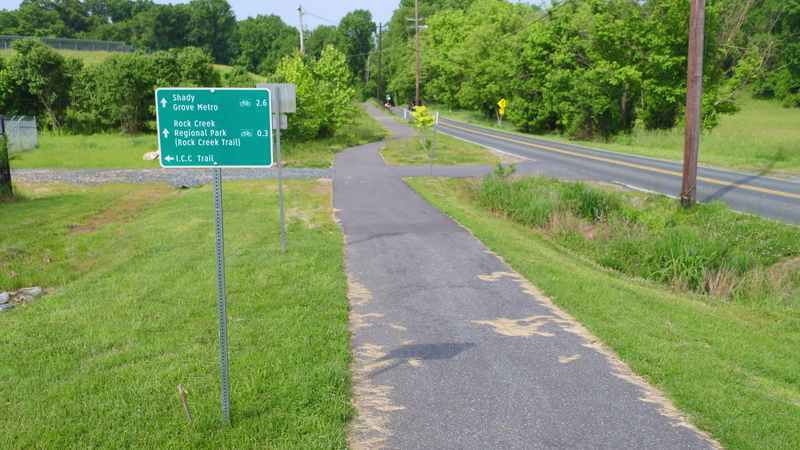 JMT designed the new path and provided additional services, such as surveying and utility coordination, environmental planning, landscape architecture, maintenance of traffic, signing and pavement markings, erosion and sediment control design, stormwater management, structural engineering, geotechnical services, public involvement and outreach, and estimating. 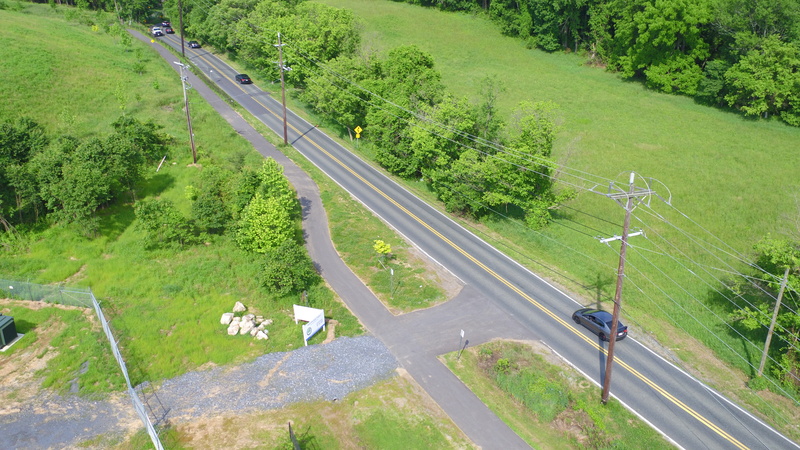 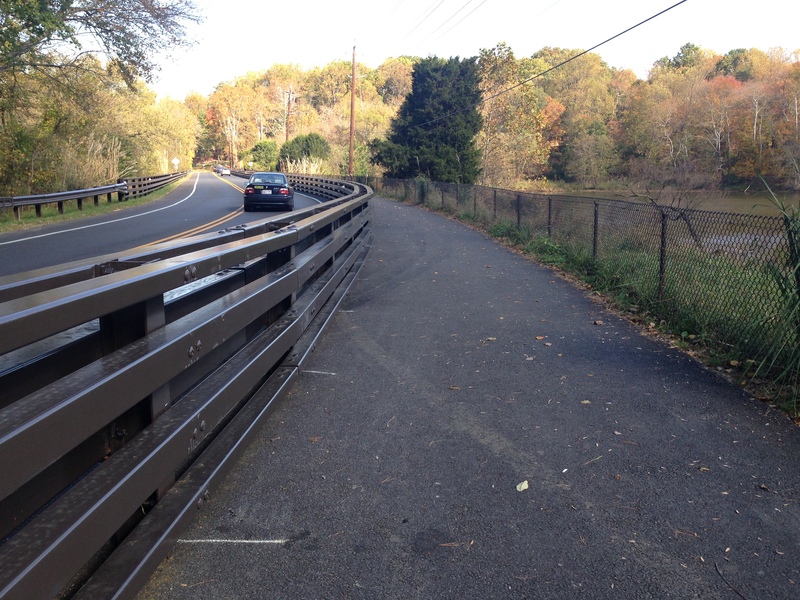 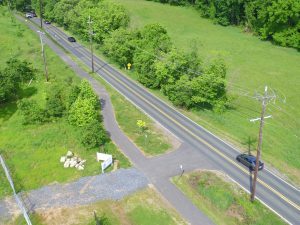 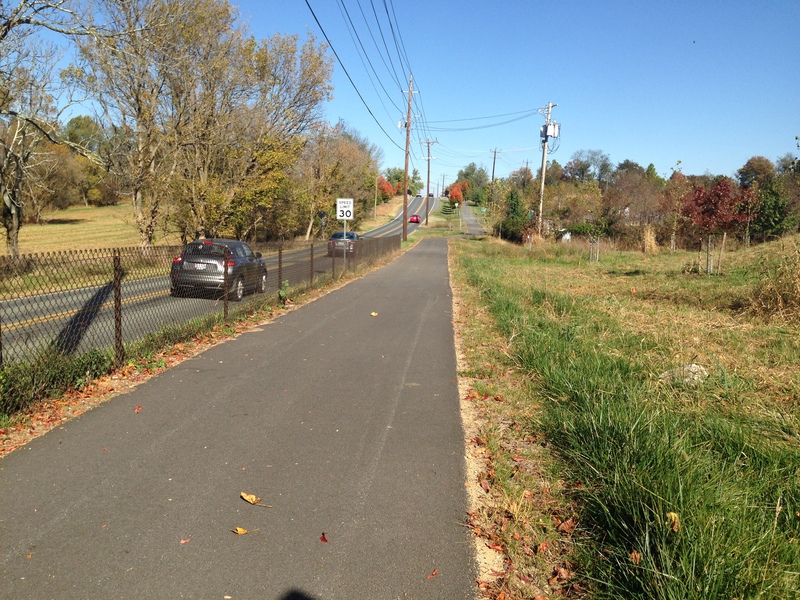 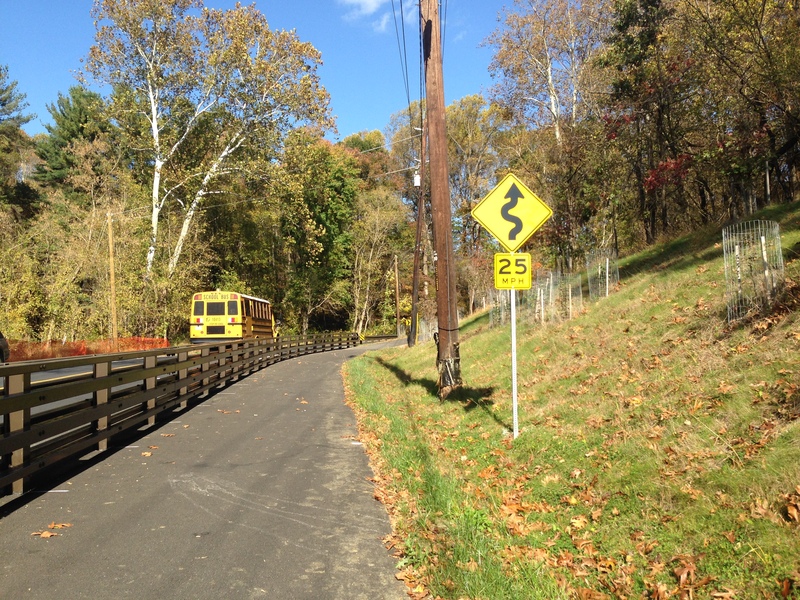 Phase I provided an eight-foot shared-use path on the south side of Needwood Road for approximately 3,400 LF, from the existing ICC Trail to the existing sidewalk section near the intersection of Equestrian Lane. 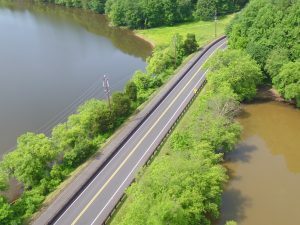 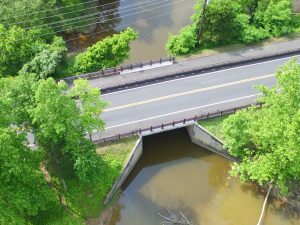 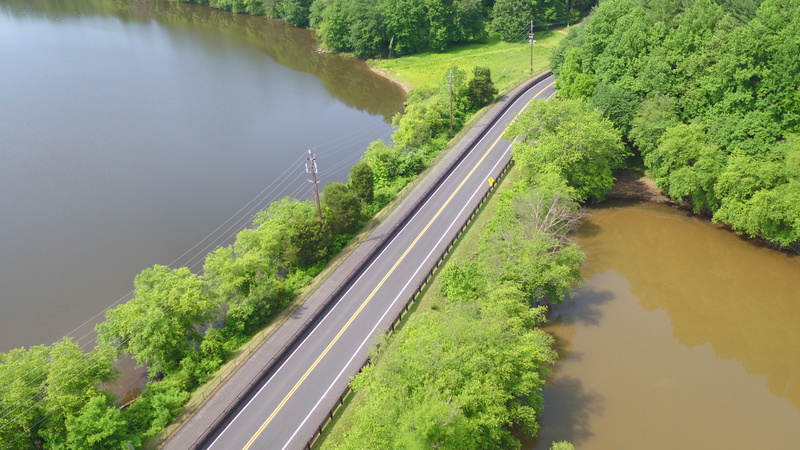 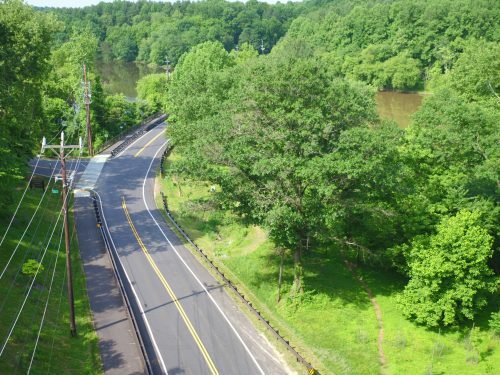 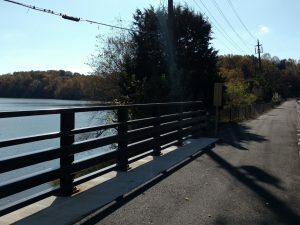 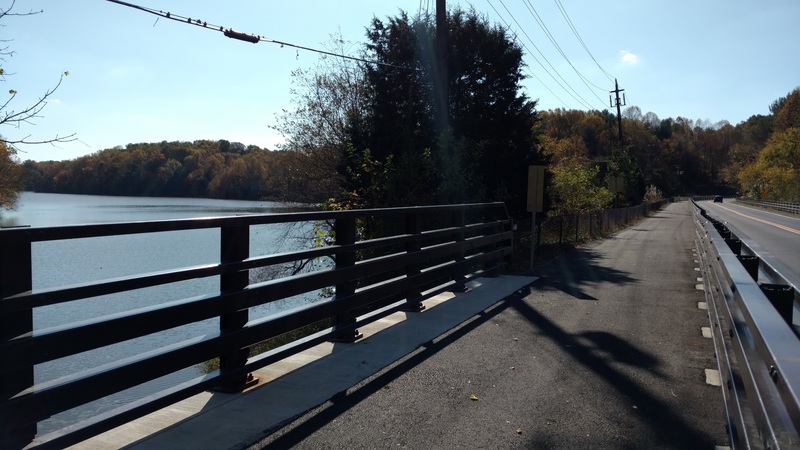 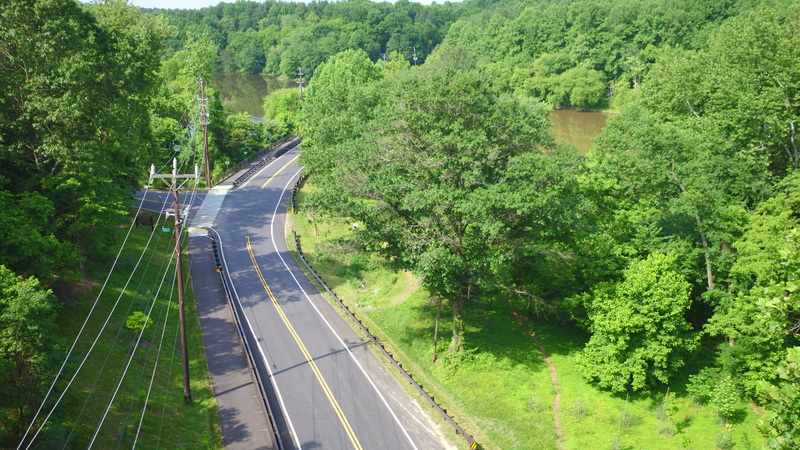 This trail received state funding through the Maryland Bikeways program for design and construction, which in so doing required that significant construction progress be made within a two-year timeframe. 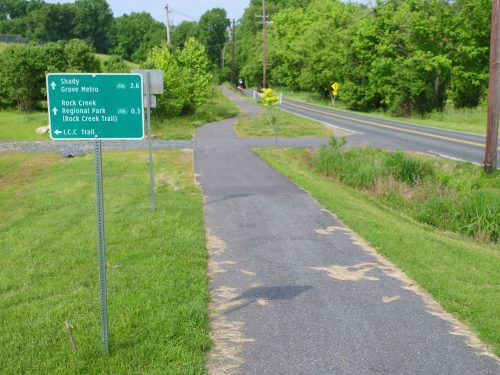 Much of the Needwood Road Bike Path is within existing forested areas owned and operated by Maryland-National Capital Park and Planning Commission. 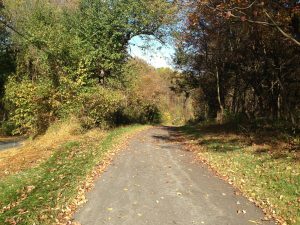 Part of the proposed bike path formalized an existing natural trail through the woods. 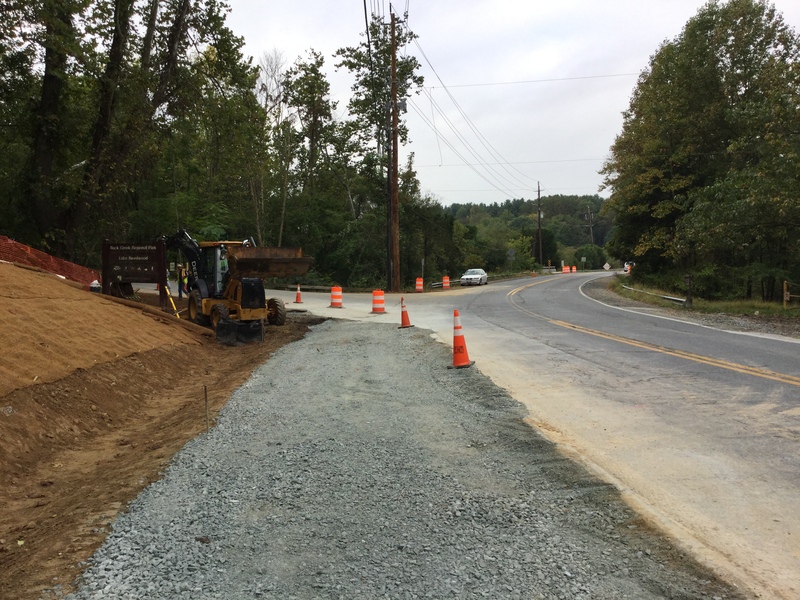 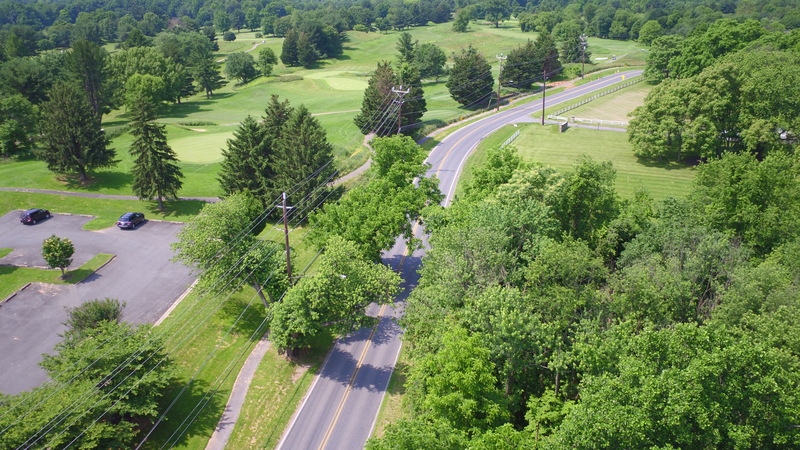 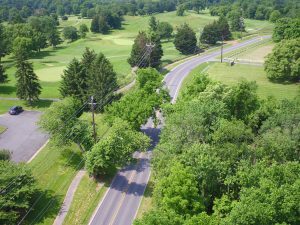 JMT worked directly with the contractor to develop a new profile that avoided cutting critical tree root systems while still maintaining the required running slopes. 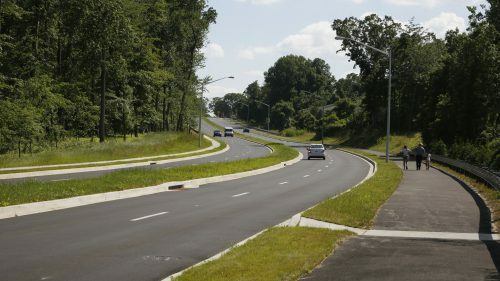 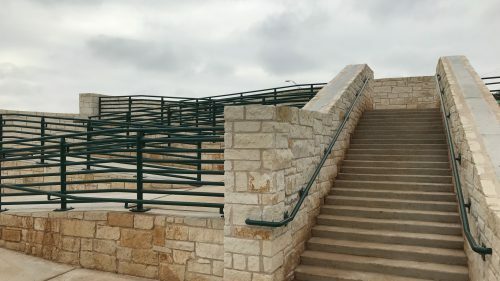 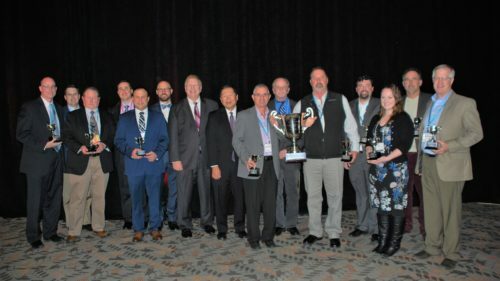 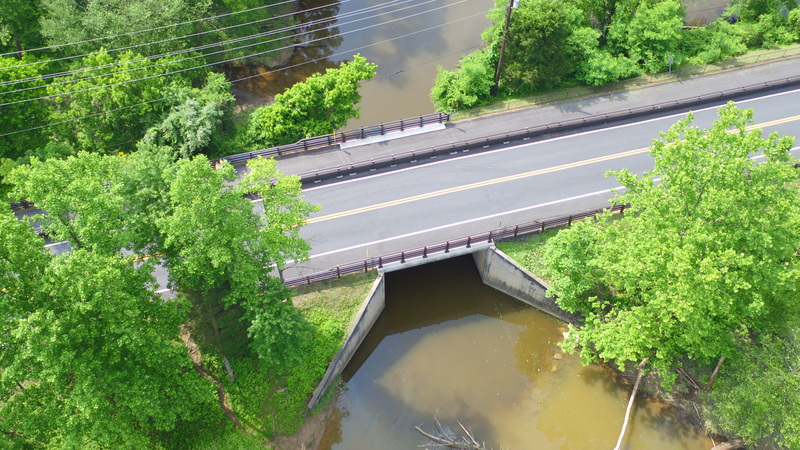 The project team introduced solutions based on community and project stakeholder input, such as traffic calming measures along the roadway and a traffic median barrier separating the travel lane from the bike lane and edge of slope.